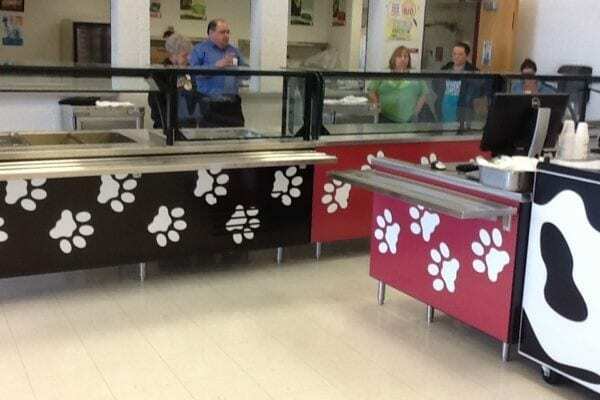 Enrollment had increased and they had to decrease from four lunch periods to three. 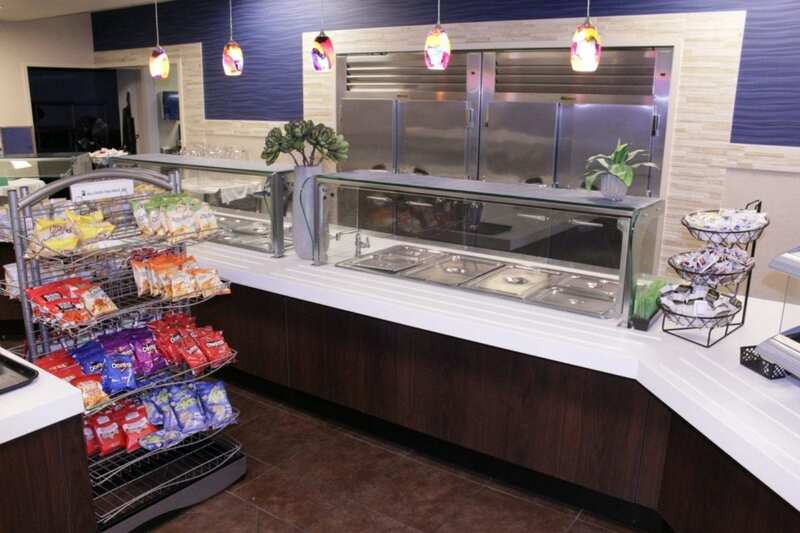 The only way they could accommodate the increase in students was to add additional serving lines. 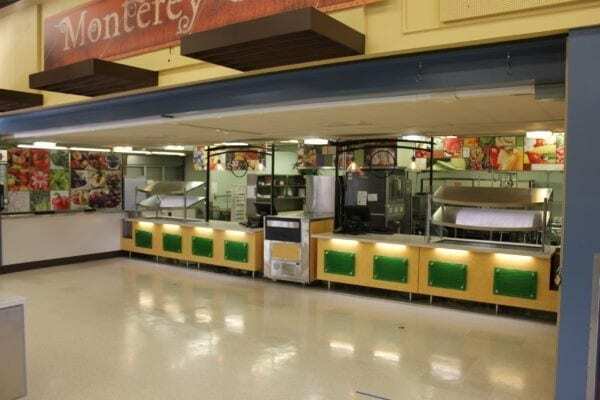 In the past, students could opt out of lunch. 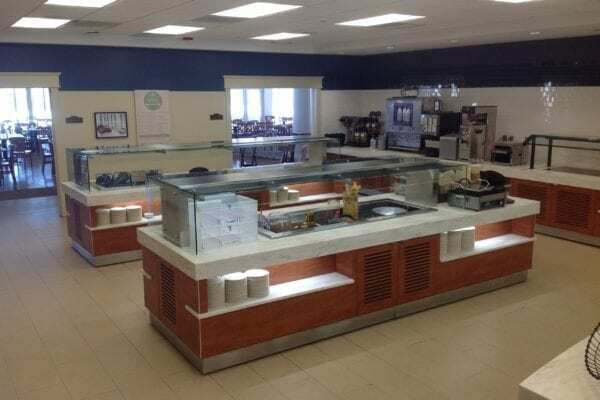 Since the changes, they have been able to capture the additional 200+ students as they are a closed campus. 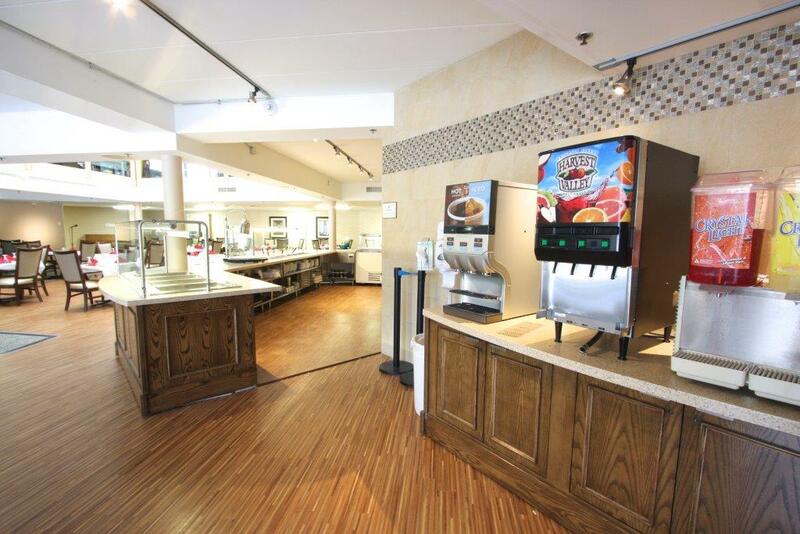 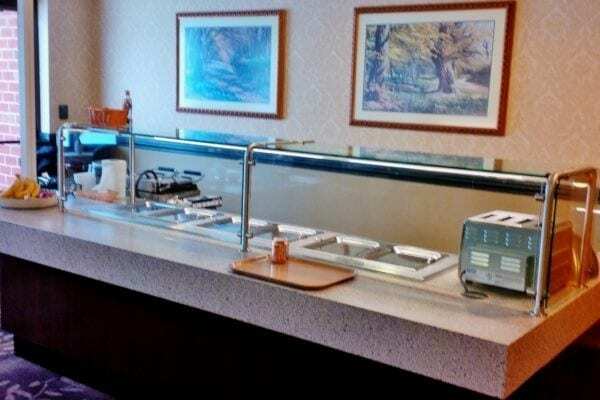 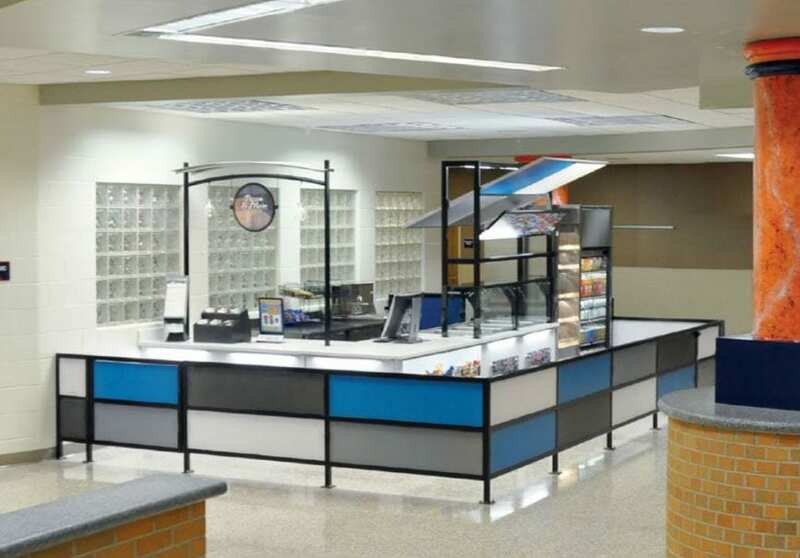 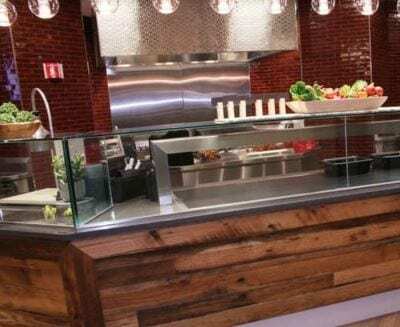 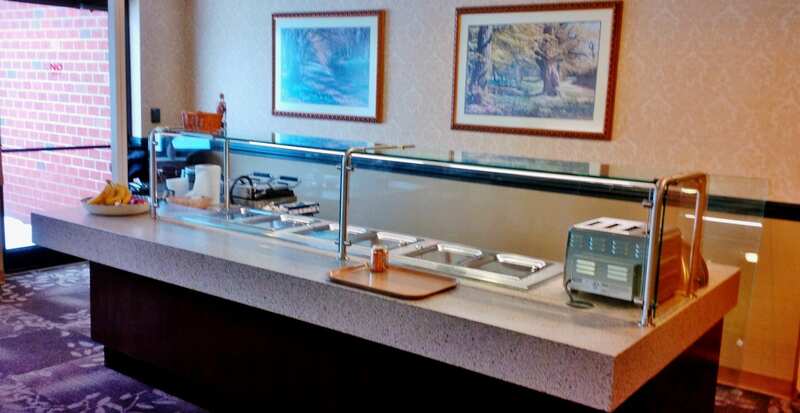 The healthcare facility needed an attractive multi-purpose buffet to fit in their upscale LTC Dr.
Multiteria was called in to create and furnish a new serving line for the residents at Saratoga Grove Retirement Community in Downers Grove, IL. 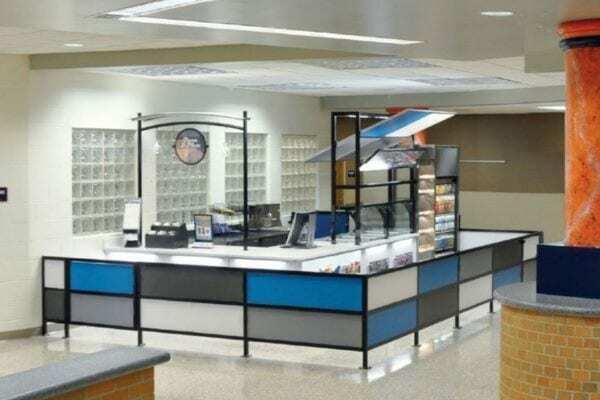 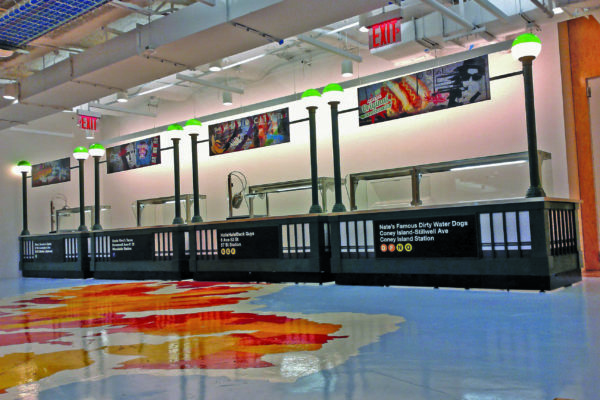 The design addressed the four key elements of merchandising; Elevation, Color, Contrast and Mood and provided a finished design and a “wow” factor was achieved.